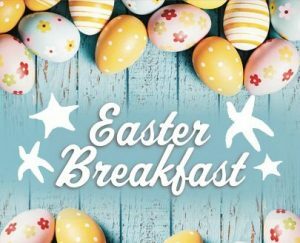 Sunday April 21, 2019|| TPC hosts Easter Breakfast for our members and guests. Please register on line or show up in Thompson Hall on Easter Morning. The cost is $5.00 per person or $20.00 for a family of four or more. We are serving from 8:30 a.m. to !0:30 a.m. If you are available to help set up, prep and serve, or clean up — volunteers are greatly appreciated. Please reach out to Jennifer Bolster – or call the Church Office.